One of my favorite things in the world are scale model replicas so I was pretty excited to see this. 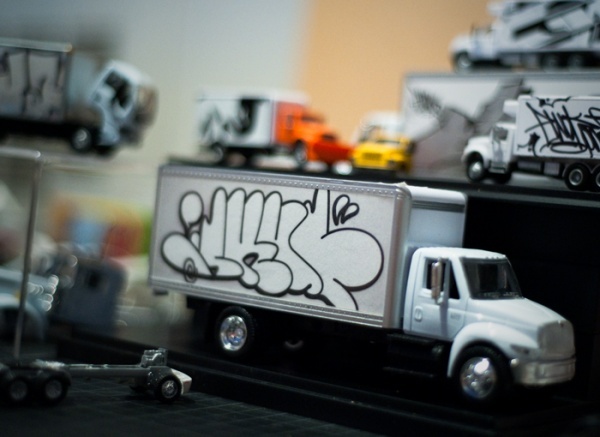 Last week Collect3D was lucky enough to receive a prototype of an upcoming collectible die cast truck release from TyoToys featuring SKUF YKK’s signature throw-up in black and white. In the past, the toy line specializing in scale replicas from graffiti’s living legends has also collaborated with EWOK 5MH. Their first release with EWOK is all sold out so act quick when these drop. Also, DIY models of the box trucks are in the works, according to Phil of TyoToys so be on the look out for those as well.